A trio of titles from 2K games have been discounted significantly in the Play Store, making it a good time to jump on the bandwagon if you haven't already. 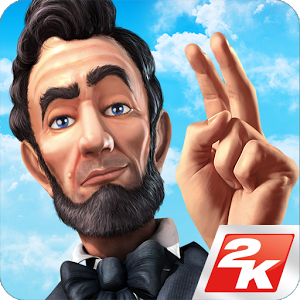 Civilization Revolution 2, the latest in the Android entries from the Sid Meier franchise, has been reduced by $10 to $4.99. XCOM: Enemy Within, a standalone expansion to its popular XCOM predecessor, is also at $4.99 (an $8 discount). Last but not least, NHL 2K can be had for just $2.99, down from $7.99. Each of these games has more than solid reviews, but XCOM: Enemy Within stands out in that regard with a 4.5 average rating. Bear in mind, when we checked out Enemy Within in November, we found that you'd need about 2.8 gigabytes of free space on your device. Check out our brief Civilization Revolution 2 walkthrough to get an idea of what it's all about, since it isn't an exact analogue of the desktop games. NHL 2K hit the Play Store in October and includes career, multiplayer, and quick match modes in addition to boasting Bluetooth controller support. There's no word on how long these discounts will last, so you will want to get them while you can.